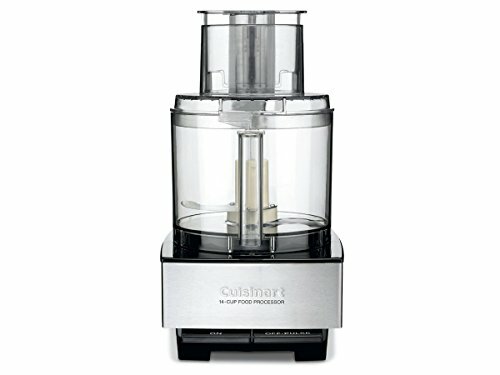 Use the powerful motor of a good food processor to make a chewy multigrain bread. This hearty multigrain loaf starts with a 100% whole wheat dough that's loaded with rolled oats, chia, flax, and wheat germ. It bakes up light and chewy, not crumbly, with a nibby crunch—perfect for your morning toast or favorite sandwich. The success of this recipe depends entirely on the powerful motor of a good food processor, not a mini-chopper, to achieve intensive gluten development in the whole wheat dough. For those new to the technique, we recommend starting with our basic 100% whole wheat bread before jumping in with this multigrain variation. Soaking the grains and seeds keeps the hydration of the dough in balance. For the Grains: Combine the flax, chia, oats, and wheat germ in a medium bowl and toss to combine. Add the water and stir until fully absorbed, then cover tightly. For the Autolyse: In large bowl, combine the whole wheat flour with the first addition of water. Stir until water is absorbed; then knead briefly against the sides of the bowl until no floury bits remain. Cover and set aside for 2 1/2 hours. Once gluten is well developed, drizzle in the remaining water and oil while the processor is running, and continue mixing until roughly incorporated. Shut off the machine, add the prepared grain mixture, and continue processing only until homogenous. At this stage, the dough will feel sticky, wet, and elastic, but a little gnarly from the seeds. First Rise: Transfer dough to large, lightly greased bowl (it's fine to reuse bowl from autolyse, no need to wash). Cover and proof until puffy, light, and roughly doubled in bulk, about 2 hours at 70°F (21°C). In a chilly kitchen, the dough will need more time to rise, and in a warmer kitchen, it will move faster. Proofing is best judged by touch, not time. Shaping the Loaf: Turn soft dough out onto clean surface lightly dusted with whole wheat flour. Pat dough into 7-inch square, and form into tight log, sealing dough together with heel of your hand. Nestle into a lightly greased 1-pound loaf pan, seam side down; cover loosely as before. Second Rise: Let dough proof until puffy, light, and risen about 2 1/2 inches above rim of pan at the very center. To test, poke the dough gently with a flour-dusted fingertip; when dough is ready, it will retain a shallow impression that springs back after a minute. If dough is firm and springs back right away, continue proofing until dough retains a shallow impression. This will take about 75 minutes at around 70°F (21°C). Again, timing of the process will vary based on environmental conditions and is best judged by touch. Near the end of this period, adjust oven rack to lower-middle position and preheat oven to 350°F (177°C). Baking the Loaf: After the second rise, uncover the dough and bake until well risen, golden brown, and hollow sounding when thumped; about 45 minutes, or to an internal temperature of approximately 200°F (93°C). Immediately turn loaf out onto a wire rack, and cool completely before slicing, at least 90 minutes. Slice with a sharp serrated knife. The loaf will keep up to a week at room temperature in a bread box or paper bag. This recipe was formulated with 100% hard red wheat flour in mind. Due to variations in flour type and milling style, when working with specialty wheat varietals and regional flours, be aware the recipe will require alterations in the hydration level for optimal performance. The finished loaf will keep up to a week at room temperature in a bread box or paper bag.